The land on which the course is located was once owned by Jefferson Davis, whose home Beauvoir, is located east of the golf course in Biloxi. The original nine-hole course sported oyster shell tee boxes and sand greens. Several years later the greens were converted to grass. 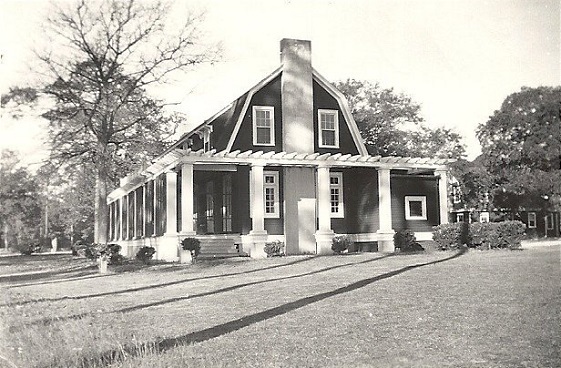 In 1910 a clubhouse was built by Bert Jones in an old English-gable style and the course became known as the Great Southern Golf and Country Club. At the age of 32, Bert Jones died on Christmas Day in 1910 shortly after the clubhouse was completed. Land north of the L & N Railroad was acquired in 1921 by the owners, the Stewart family of Gulfport, to make room for an additional nine holes. By 1922 they were completed, following the original designs inspired by Donald Ross. The course soon became known nationwide, attracting such golfing greats as Walter Hagen, Gene Sarazen, Jock Hutchinson and Henry Cotton. 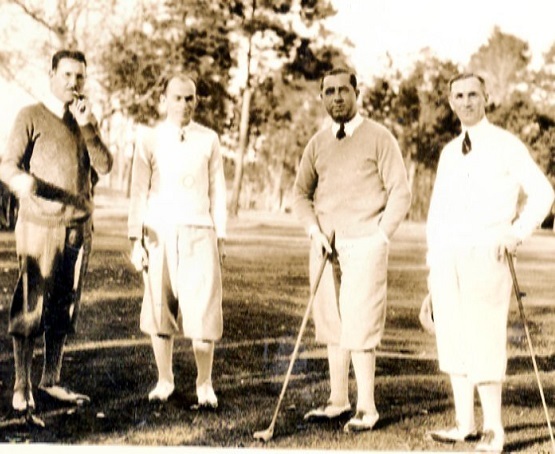 In the early 1940’s the course became a stop for golfing legends Sam Sneed, Byron Nelson and Ben Hogan on a Southeastern states tour which pre-dated the official PGA tour. In 1944 Harold “Jug” McFadden won the Gulf Coast invitational. 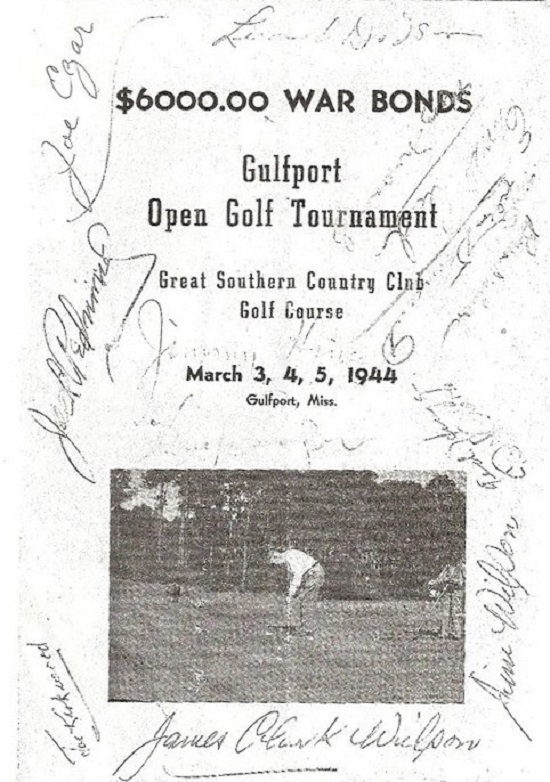 In the 1945 Gulf Coast Invitational, referred to by locals as the Gulfport Open, Sam Sneed defeated Byron Nelson on the nineteenth hole of a sudden death playoff on hole No. 1. The prize was war bonds. Through the 40’s and 50’s, golfing greats Patty Berg, Babe Zaharias, Betty Hicks, Gary Middlecoff, Buck White, Hugh “Jugs” McFadden, Johnny Rivolta, Henry Cotton, and Glenna Collett Vare played the course. In 1962, Mrs. Joe W. Brown purchased the course from Charles H. Stewart for $1,000,000. The Stewart family had operated the course for 54 years. The course became known as the Broadwater Sea Course and a part of the Broadwater Hotel Resort which was purchased by the President Casino in the early 1990’s. 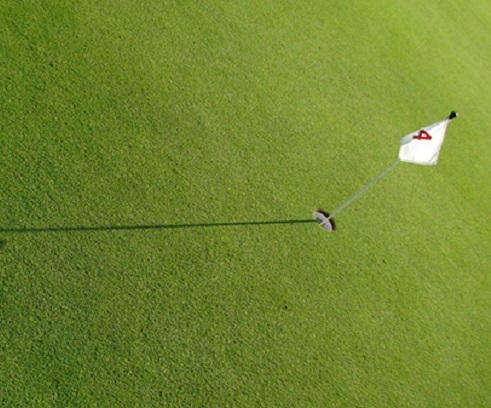 The President Casino owned and operated the course until 1993 when the course was purchased by members and local residents who reclaimed the essence of the original name, and called it the Great Southern Golf Club. In November of 1964, the club hosted the Mary Mills Gulf Coast Invitational, which was a sanctioned tournament by the LPGA. The tournament was won by Hall of Famer Micki Wright, and the purse of $16,000.00 was the largest at that time for a LPGA event. Mary Mills, perhaps the club’s most famous member and a Gulfport woman playing on her home course, had won the Ladies U. S. Open the previous year in 1963 in the first televised LPGA tournament. In 1999 Brian Curly renovated the course, being careful not to alter one of the Donald Ross trademarks — square-faced greens.